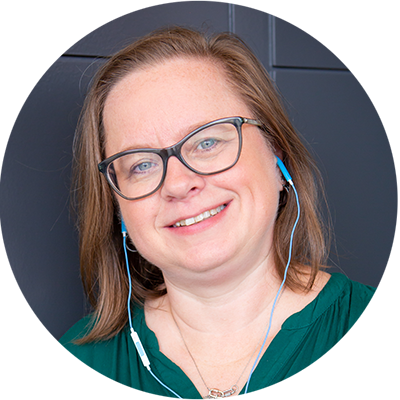 Audible pets speak up about their favorite listens to share with people! Find the most popular titles for kids of all ages! 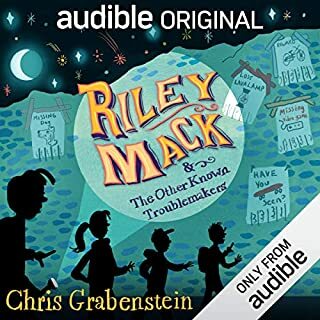 From the Newbery Medal to the Pura Belpré Award, these are the absolute best in American audiobooks for children. Red fedora? Clever capers? Big surprises? All of the above. I am a huge fan of origin stories—just ask me about the differences between Wonder Woman's backstory in the comics versus the movie! But until now, the early years of one iconic mastermind have remained a mystery. At long last it's time to stop asking "Where in the world is Carmen Sandiego?" and start finding out "Who in the world is Carmen Sandiego?" Gumshoes know that following her trail is important, but who is this international woman of mystery—and do her childhood experiences inform her nefarious deeds? After decades of speculation, questions about the early life of this clever, dashing, sneaky, mysterious—and yes, fashionable—master criminal are being answered. What is the significance of V.I.L.E. Academy? How can Carmen navigate the globe so effortlessly? Why did she turn to a life of crime? I’d love to share the secrets of Carmen's childhood years, but the Chief wouldn’t want me to spill the beans outside of ACME headquarters. The traveling Medici Bros. Circus is made up of a ragtag group. There's Miss Atlantis, the resident mermaid, who is trying to find her voice, and Rongo, a strongman juggling more duties than he can keep track of. There's also a brokenhearted family in need of some healing: Holt - a former Stallion Star and war veteran; his daughter, Milly - a budding scientist with little interest in taking up the family act; and her little brother, Joe - a clumsy kid who longs to be in the ring. 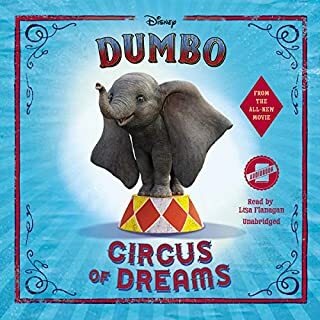 But everything changes for the circus when a little elephant with a unique talent comes onto the scene. 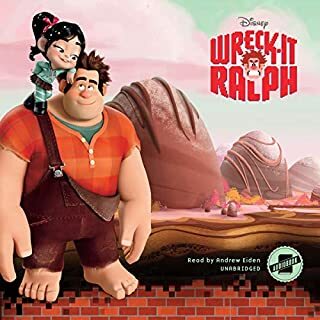 Disney's Wreck-It Ralph is about a video game villain who wants nothing more than to be the good guy for a change. But when Ralph finally gets his chance, he discovers that being the hero isn't as easy as it looks. Soon the entire video game world is at stake, and if Ralph doesn't play to win, it could mean "Game Over" for every game in the arcade! 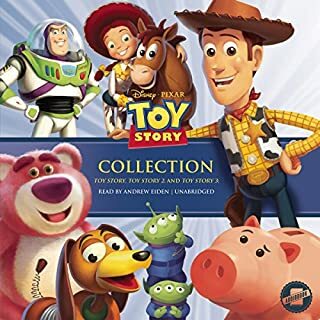 This collection retells the classic story of the original Toy Story and shows just what happens when a new toy comes to town! In Toy Story 2, a toy collector steals Woody, and Buzz leads the other toys to rescue him - only to find that museum life sounds very appealing to their friend. Finally, in Toy Story 3, Andy is all grown up and heading off to college. What will happen to Buzz, Woody, and the rest of his toys? When it comes to imagination, June Bailey has more than enough of it to go around! In fact, she's created an entire amusement park called Wonderland with her mom. But one day, June doesn't feel like building anymore...until she stumbles across the real Wonderland, which has somehow come to life! Now, June's amusement park needs her help. Can she reignite her imagination and save the park of her dreams? Rudyard Kipling’s best loved book, full of timeless and beloved tales of adventure. The story of Mowgli, the abandoned "man-cub" who is brought up by wolves in the jungles of Central India, is one of the greatest literary myths ever created. 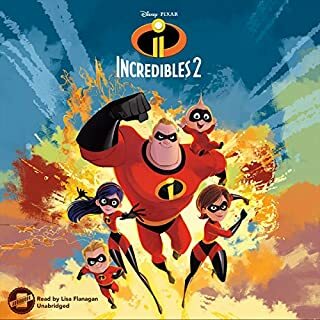 As he embarks on a series of thrilling escapades, Mowgli encounters such unforgettable creatures as the bear Baloo, the graceful black panther Bagheera, and Shere Khan, the tiger with the blazing eyes. From the moment Mary Poppins arrives at Number Seventeen Cherry Tree Lane, everyday life at the Banks house is forever changed. Jane, Michael, and the twins have never had such a wonderful nanny, who brings enchantment and excitement everywhere she goes. In Mary Poppins Comes Back, the beloved nanny returns when she's pulled down from the clouds by the string of Michael's kite. In her care, the Banks children meet the King of the Castle and the Dirty Rascal, visit the upside-down world of Mr. Turvy and his bride, Miss Topsy, and spend a breathless afternoon above the park, dangling from a clutch of balloons. 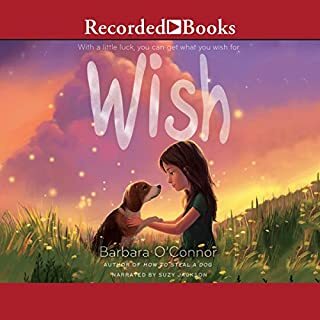 Inspired by Pixar Animation Studios' latest film, Coco, this middle grade novel will retell the story of the film as well as feature original content expanding upon its rich, vibrant world and characters. Miles Morales is just your average teenager. Dinner every Sunday with his parents, chilling out playing old-school video games with his best friend, Ganke, crushing on brainy, beautiful poet Alicia. He's even got a scholarship spot at the prestigious Brooklyn Visions Academy. Oh yeah, and he's Spider Man. But lately Miles' Spidey-sense has been on the fritz. 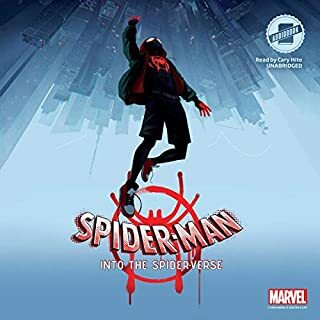 When a misunderstanding leads to his suspension from school, Miles begins to question his abilities. "You Are Just Like Me"
Once upon a time, there was a boy named Christopher Robin, who had many friends in the Hundred Acre Wood. As time passed, the boy grew up, and he lost track of his friends. Then one day, a silly old bear with a love for honey decided to leave the wood and go looking for his friend Christopher Robin. From the streets of London to the grassy banks of the Hundred Acre Wood, Winnie the Pooh and Christopher Robin will journey to find each other and remember the magical elements of friendship and play. 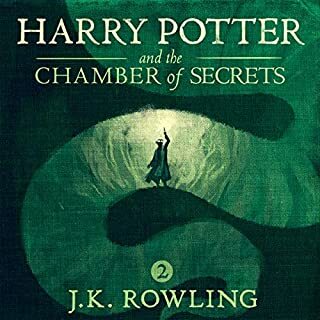 Meg Murry, her little brother Charles Wallace, and their mother are having a midnight snack on a dark and stormy night when an unearthly stranger appears at their door. He claims to have been blown off course and goes on to tell them that there is such a thing as a "tesseract", which, if you didn't know, is a wrinkle in time. Meg's father had been experimenting with time travel when he suddenly disappeared. Will Meg, Charles Wallace, and their friend Calvin outwit the forces of evil as they search through space for their father? A kid alone in outer space—what could go wrong? It’s one kid versus an entire band of space pirates in this cosmic middle grade caper from New York Times bestselling author Dan Wells. Zero is just one of 20,000 people aboard a spaceship bound for a new planet set to be colonized. The journey is over a century long but luckily, everyone is in stasis, so they’ll be safe and sound asleep during the trip. Everyone that is, except for Zero, whose pod has malfunctioned, waking him up a hundred years early. His initial excitement in roaming the ship alone quickly turns to a heart-stopping interstellar adventure when a family of space pirates show up, trying to hijack the ship and take the colonizers hostage. With everyone he knows fast asleep, it’s up to Zero to think fast and find a way to stop them–all on his own. WHACK! When a mystery man lands smack-dab on the front of their ship while flying through space, the Guardians of the Galaxy bring him aboard to take a closer look. Is he an angel? With that eye patch, could he be...a pirate? 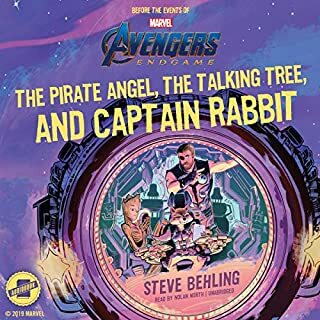 Turns out it's Thor, the God of Thunder, and he's just as confused by the Guardians as they are by him: a rabbit captaining a ship, and a talking tree he can understand? Alternating between their trip to Nidavellir and Rocket's journal entries, this is the perfect lead-up to Marvel Studios' Avengers: Endgame. 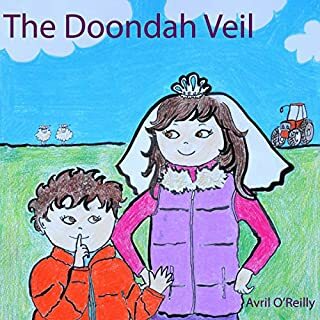 Aine, an Irish name pronounced Awn-Yah, is worried that her gifted little brother Olan will ruin her First Holy Communion day with his nonstop flow of chatter. Being gifted means he never stops talking unless he is asleep. He loves calling out long lists of tractors and animals to anyone who will listen. What if he gets up onto the altar during the First Holy Communion day and starts listing animals? 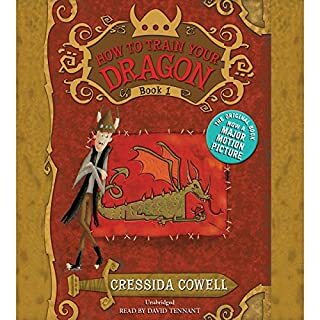 Help Your Dragon Deal with Change: Train Your Dragon to Handle Transitions. A Cute Children Story to Teach Kids How to Adapt to Change in Life. Having a pet dragon is very fun! He can sit, roll over, and play.... He can candle a birthday cake, light a campfire, and so many other cool things.... 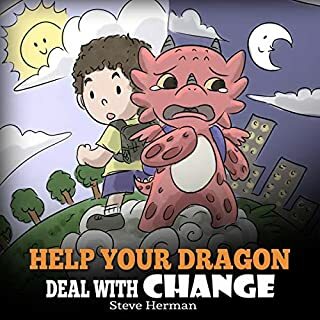 But what if your dragon is afraid of change? What if he doesn’t like his new teacher and her teaching style and refuses to go to school? What if he’s sad because his favorite pool is closed, and he’s afraid to try the newer, bigger pool because of the unknowns? What if he hates to say good-bye to his old soccer team and doesn’t want to join a new one? Dramatic changes in Windsor Heights landscape lead to hungry hawks and hungry coyotes! 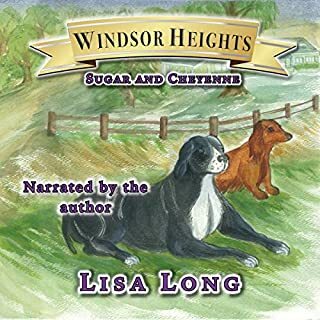 Beau's friend loses something important; will scent hound Cheyenne's nose save the day? Lindsay and her hard to handle horse, Moon, are on the rocks and in the wake of an accident, an ultimatum is given. Two sad lonely children have their prayers answered in this heartwarming traditional tale. 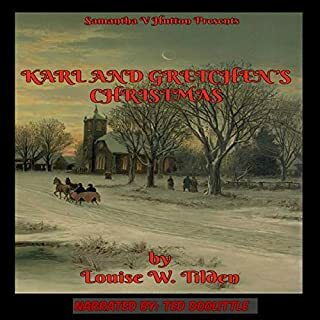 First published in 1878, Karl and Gretchen’s Christmas is Louise W. Tilden's classic bedtime story for children told in verse. 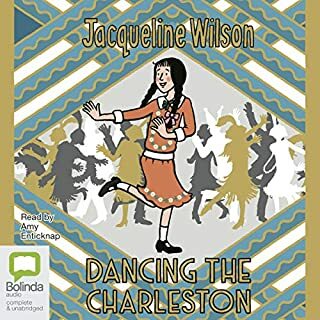 A fantastic stand-alone historical novel in the tradition of Hetty Feather and Wave Me Goodbye, this rich, entertaining novel will delight fans news and old. Mona and her aunt live in a little cottage on the edge of the Somerset estate, where her aunt sews wonderful dresses for the lady of the house. Mona never knew her mother or father, but Aunty has always looked after her - and Mona knows she can always talk to her mum where she lies in the village graveyard. 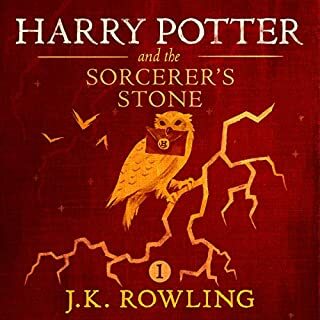 This bundle contains two audiobooks: Classic Fairy Tales Collection 1 and Collection 2. There are nine classic tales in collection 1 and 17 classic tales in collection 2. So, you’ll get total of 26 classic tales with this bundle. On her 12th birthday Cecilia goes out with her parents and sister to celebrate with a visit to a museum. On their way Cecilia drops the marble that her sister gave her as a present and, running to pick it up, she is taken away on an empty underground train into a dark and deep tunnel. The fun family outing becomes a much more serious mission when Cecilia finds that she and her marble have a very important role to play in freeing the inhabitants of the tunnels from the tyrannical rule of the Corvus. Enjoy the exciting story of a Roblox jailbreak told from the perspective of a Roblox Noob writing his diary about his great escape. Will he make it past the guards? What tactics will he use? And what will happen when he finally makes a run for it? Will he succeed at his jailbreak or go out in a blaze of glory? Get the inside story straight from the Diary of a Roblox Noob when you grab your copy now! Eleven-year-old Maggie lives in Fennis Wick, enclosed and protected from the outside world by a boundary, beyond which the Quiet War rages and the dirty, dangerous wanderers roam. Her brother Jed is an eldest, revered and special. A hero. Her younger brother is Trig - everyone loves Trig. But Maggie’s just a middler; invisible and left behind. Then, one hot September day, she meets Una, a hungry wanderer girl in need of help, and everything Maggie has ever known gets turned on its head. The Princess and the Pea is the story of a prince who wishes to marry a princess but is having difficulty finding a suitable wife. One night a young woman who claims to be a princess arrives at the palace, so the prince's mother decides to test their unexpected guest by placing a pea under her bed, covered by 20 feather mattresses. In the morning, the guest tells her hosts that she had a sleepless night, kept awake by something hard in the bed. So the two are married because only a real princess would be sensitive enough to feel a pea through so much bedding. I'm so sad it's over! !